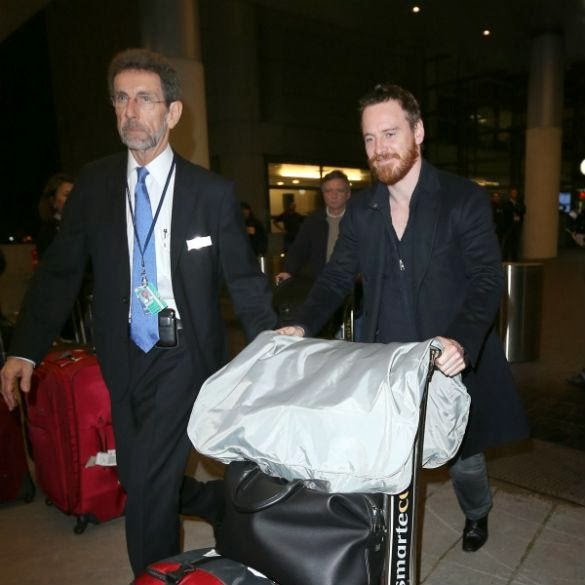 Fassinating Fassbender - A Michael Fassbender Fan Blog: Michael has Arrived in LA for the Oscars! Michael has Arrived in LA for the Oscars! He flew into LA with his parents. One big happy family! 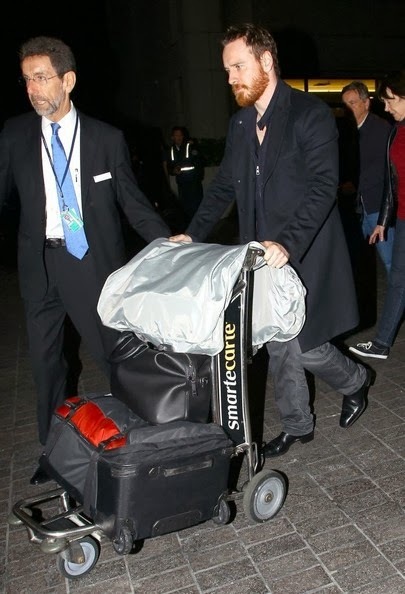 Michael has just arrived in Los Angeles as he prepares to attend the 86th Oscars ceremony on Sunday. Good luck Michael! A milestone! He looks tired, but no one looks at his/her best after a 11 hour flight. :-) Tomorrow he'll be a sharp dressed man. And a gorgeous beard. He will totally rock the ceremony.